Graduate students from Olivet School of Media and Communication (OSMC) at the Riverside main campus reported significant self-growth with journalism skills that will be crucial in answering greater callings. This summer, students are attending the Ministry Practicum course offered by the school. Kristina Ran, a first year Masters Journalism student, applied for a summer internship as part of her ministry practicum course. Her role as a junior writer at a global Christian news agency last quarter offered a deeper realization into her field of study. "When researching story ideas, I find that the certain topics and movement has been actively glorified by the media. In the past, I didn't really think much about it. Now, I've come to realize that there is so much distorted information that certain media channels may report as true ," said Kristina Ran. 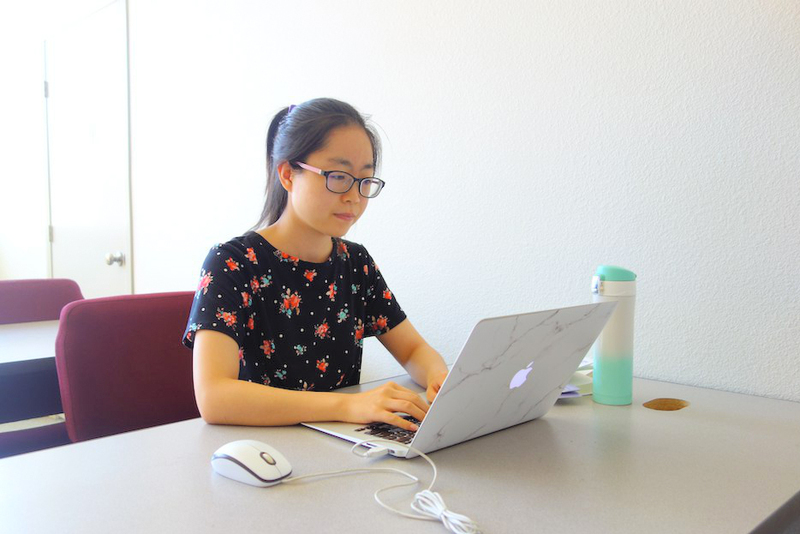 Since starting the internship in July, Kristina has been working on a sourcebook that she hopes can benefit the news agency and fellow reporters in the future. Additionally, she is responsible for daily tasks that include writing articles, looking for new leads and pitching story ideas to the editor. Under the supervision and guidance of her editors, Kristina is gaining confidence in finding interesting and meaningful stories for the news website. By researching topics that concern the Christian audience, she has gained a deeper biblical worldview on societal issues that confront those of faith today. Alongside her OSMC classmate, Kristina is developing a greater appreciation for media's impact on the Christian community. "That's why we must stand firm on the biblical truth and proclaim what is right, if we don't say it, others will not know," explained Ran. "Not only we have to say it, we have to say it with systematic argument and reasoning." Undoubtedly, Christian media professionals are in the midst of a cultural war today. OSMC aims to inspire Christians to win over all people to God through the media today and will continue to provide opportunities for students to grow in that in their respective field of news and media.